Caig Ball: "Dem Phones, Dem Phones, Dem iPhones"
Electronic data discovery (EDD) and computer forensics are not areas where I claim expertise. But Craig Ball is an expert and his new column Dem Phones, Dem Phones, Dem iPhones is worth a read for anyone involved with the litigation process, whether they deal with preservation and EDD or not. I have linked to the version with comments expanded as I think the “one phone or two” debate is of interest. Warning: This post may cause an emotional reaction, perhaps excitement that your expertise in this areas is so valuable, or maybe fear at the future complications you see ahead. Maybe it will just give you a headache. Since I don’t claim expertise in these areas, I can share the parts that gave me a headache. The “we already know” part that I *don’t* already know. Empathy for the headaches that the trends he discusses are going to give lawyers and EDD professionals. That it ends with a three question quiz on technology that I would score a zero on! That’s unaccustomed territory for me. But take a read! It is a well-written article and you do have aspirin in your desk drawer. Tom Mighell will be joining me tomorrow (12/18/13) at noon CST for an informative webcast and online demonstration about the various ways that a lawyer can use an iPad in law practice. Tom has authored 3 books for the ABA on lawyer's use of iPads: iPad in One Hour for Lawyers, iPad in One Hour for LItigators and iPad Apps in One Hour for Lawyers. We plan to have a discussion about our favorite iPad apps and tips. You can now go into court with nearly your entire case on this slim device, including depositions, exhibits, legal research. You can also use the iPad to take notes and keep track of trial testimony. But what are the best apps to do all of that? Learn how to get the most out of your iPad in your practice and whether it may be time for you to upgrade your iPad for a new model. I was asked to write a beginner's level feature for lawyers using the iPad. The result is The Basics of the Lawyer’s iPad. Due to website migration activity here at the Oklahoma Bar, I am providing you a PDF of the article for your download and reading. Download Calloway iPad Basics March16 2013 OklBarJ I hope beginners will find this useful and believe even those with more iPad experience can learn a thing or two. Coincidentally, the same week, Jeff Richardson of iPhoneJD.com fame posted an updated feature on his blog Advice for lawyers new to the iPad.You will not want to miss that post. I should also note the video on our YouTube channel -- Getting started with iPad2. With all three of these resources, a late-arriver to using iPads should catch up quite quickly. We have now set up a YouTube Channel for the Oklahoma Bar Association Management Assistance Program and will be doing some regular Law Practice Tips in video format. One of our early offerings is Getting Started with the iPad2, featuring Dave Owen of ImageServe.com. If you just picked up an iPad and started using it without much training, you may not be aware of different techniques and shortcuts, like the "four finger swipe." The video is not short at over 14 minutes in length, but most every lawyer iPad user who has watched it has said that they picked up something useful. I've heard several office workers say they they seem to "live" in Microsoft Outlook. While I encourage lawyers to use practice management software to organize their practices, I know many of them rely on Microsoft Outlook for day-to-day calendar management, as well as e-mail. It is installed on their computers already, so it seems free. 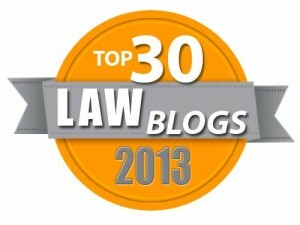 Today's lawyer needs to have access to e-mail and calendar from their mobile phones. Because we have Exchange Server at my employment, that is pretty easy to set up. When I got my first iPhone, it only took a few minutes to sync my e-mail and calendar to it. Synchronizing a to-do or task list with MS Outlook was an entirely different matter. I tried several methods. But Paul Unger gave me the tip on the tool that works. it is the TaskTask app for the iPhone. (It costs $4.99 and there is a Windows phone version that costs less, too.) It does require Exchange Server and there are some technical specs to review on the site. It is not as fully functional as it could be. But when I rememebr something I need or want to do, I really like entering it in the TaskTask app on my phone so it will be in my Outlook tasks at work. And, of course, I can always check the "to do" list from my phone. "For most lawyers, survival will depend upon their ability to harness technology to deliver greater value to clients at a cost that declines—yes, declines—over time. The biggest challenge for law firms will be transitioning away from internal firm metrics that reward billable hours and discourage or prohibit the crucial trial-and-error experimentation needed to create, refine and market more innovative work processes that do more with less." Id. So go read the article to see how the authors reached that conclusion. But the future brings promise as well as challenges. Maybe none of us will see that future where one can make a living as a "Space Lawyer," but it is not hard to see new and emerging areas of law practice. But a good opportunity to chart your future appears this month in another ABA publication, the "Careers" issue of Law Practice magazine (July/August 2011.) The Time to Take a Leap feature begins with an important story by a good friend of mine. Lawyers Join the Free Agent Nation by Stephen P. Gallagher charts how career paths have changed for lawyers just as the idea of life-long employment with a single company has changed for the majority of the American work force. The is followed by 10 Steps to Prepare Yourself for a Graceful Launch by John H. Snyder. Although this is written for a hypothetical associate about to leave the big firm, it is good reading for anyone taking stock of your career. The feature then focuses on several lawyers and their successful career changes. But, wait, you might say, "I really am my law practice at this point and there's really nowhere to leap." (Joke in poor taste omitted.) It is certainly true that for many lawyers, from solo/small firm lawyers to partners in larger law frims that they could change their address or their partners, but the clients that they serve are their law practice. Absent taking a salaried job and shuttering a private practice, they may feel certain that they are not looking at career change. As suggested by the ABA Journal article on stagnation, you may have the choice of reinventing your practice or watching while others reinvent it for you. So continue your tour of the Careers edition of Law Practice magazine by reading Make the Right Move: Career Assessment Tools by Wendy L. Werner for some ideas on learning about yourself, Optimizing Your Online Shingle: On-Page and Off-Page Best Practices by Bob Ambrogi and Steve Matthews and enjoy the fun of Sharon Nelson and John Simek discussing using an iPad in your law practice. 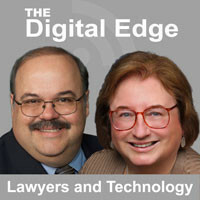 In the Ask Bill column, Bill Gibson talks with me and Tom Mighell about social media for lawyers. Whether you are a new lawyer or law student entering the job market, who should read the entire Careers edition of Law Practice magazine or you want to pick and choose, there's a lot in Law Practice magazine, this month and every month and I'd say that even if I wasn't on the magazine's editorial board.